If you would like to alternate carpet or needlepunch with brushes for indoor use, the ABI Alu wire mat 10 x 10 provides an excellent solution. 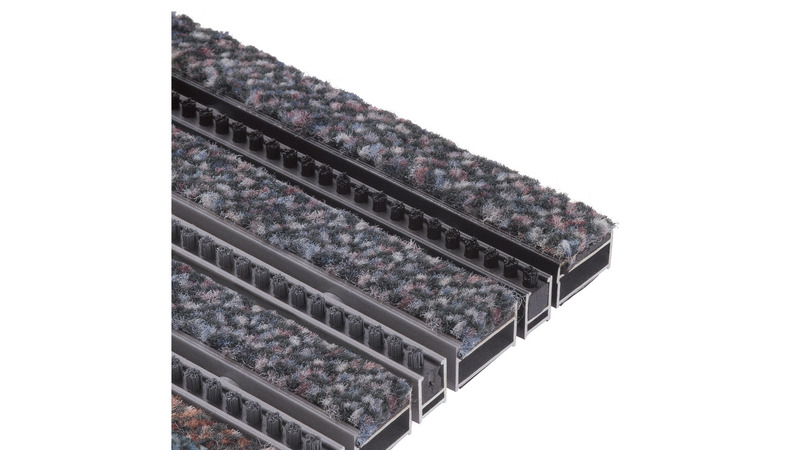 For this mat is constructed from a single row of brushes (10 x 10 mm), housed in an aluminiumprofile alternated with large carpet strips, also housed in an aluminiumprofile. These carpet and brush strips are alternatley bound together with the same flexible stainless steel wire as in our other Alu wire mats and brush mats. This is the perfect combination of brushes and moisture absorbing carpet, for indoor use.